Earlier this week, an exciting development hit the animation community. Hyrum Osmond, the head of animation on Disney's Moana, will partner with ON Animation to adapt Little Nemo in Slumberland into a new animated feature. 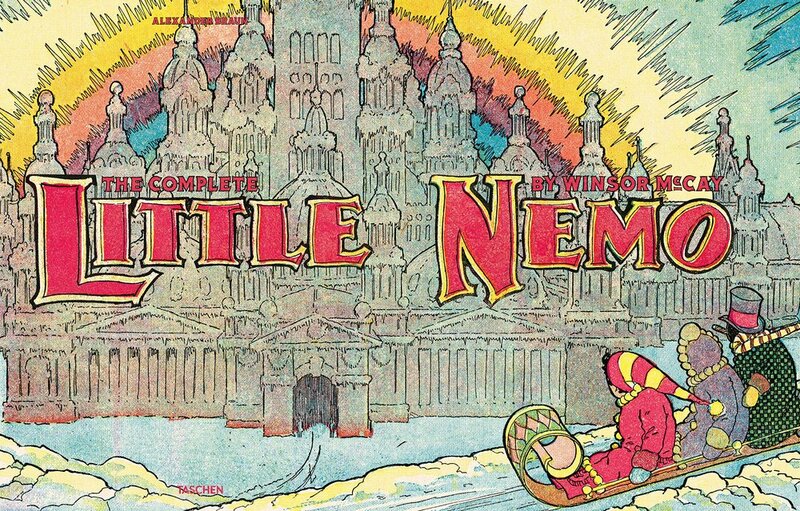 For those not familiar, Little Nemo is a comic strip produced by Winsor McKay. It ran from 1905 to 1914, then revived from 1924 to 1926. What we have here is the convergence of three very remarkable elements, which offers a lot of promise for this project. First of all, the source material itself carries a lot of weight. Osmond himself said that Little Nemo "influenced generations all over the world, breaking new ground in visual storytelling." He's absolutely correct in saying that. The way Winsor McKay manipulates the visual language to portray time progression and the flow of dialogue feels modern. It broke the mold for how comics told stories, and left a deep imprint on cartooning that's felt even today. McKay even made his own animated short based on the comic strip. Little Nemo hit vaudeville theaters in 1911 to amazing success. That success prompted him to pursue animation even further, eventually leading to his best known work Gertie the Dinosaur in 1914. McKay went on to develop techniques like animation loops, keyframes, and the use of tracing paper. The animation field as we know it today would not exist without McKay's innovations; any adaptation of his work needs a delicate and respectful hand. Luckily, it seems that the current team has the skills needed to take on the task. Besides being head of animation on Moana, Hyrum Osmond has had ten years of experience with animation, especially during the current Disney Animation Revival. With credits like Zootopia, Paperman, and Tangled under his belt, Osmond certainly has the potential to successfully take on the director's helm. ON Animation as a studio also carries a good filmography under its belt. One of their most acclaimed works so far is 2015's The Little Prince. The film came out to lavish critical praise. Now Little Nemo has a similar tone to The Little Prince, something whimsical and charming, otherworldly. If the studio could pull it off once, they can certainly do it again. Producer Aton Soumache described the film as "a passion project at the heart of ON Animation’s philosophy: a beloved property leading to a story of emotional truth, set against a never-before-seen world." This isn't the first time that Little Nemo has been adapted; a film titled Little Nemo: Adventures in Slumberland came out in 1989. However, this new adaptation has certainly attracted a lot of attention. With some good producers and talent behind the idea, the new Little Nemo looks to be on track as a tribute to one of animation's most important figures.